You must make reservations at least 5 minutes in advance of the time at Select Oyster Bar. Metered Street Parking as well as many lots nearby. 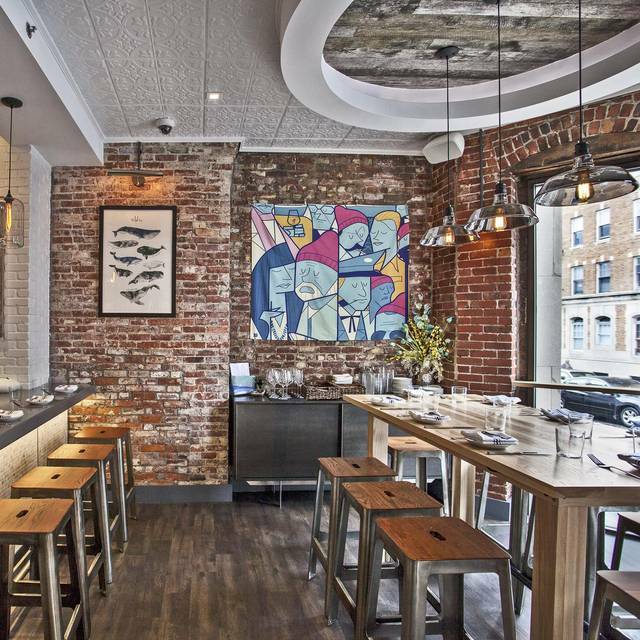 Select Oyster Bar, the first solo venture from chef Michael Serpa, is a neighborhood oyster bar & seafood restaurant in the heart of Back Bay. 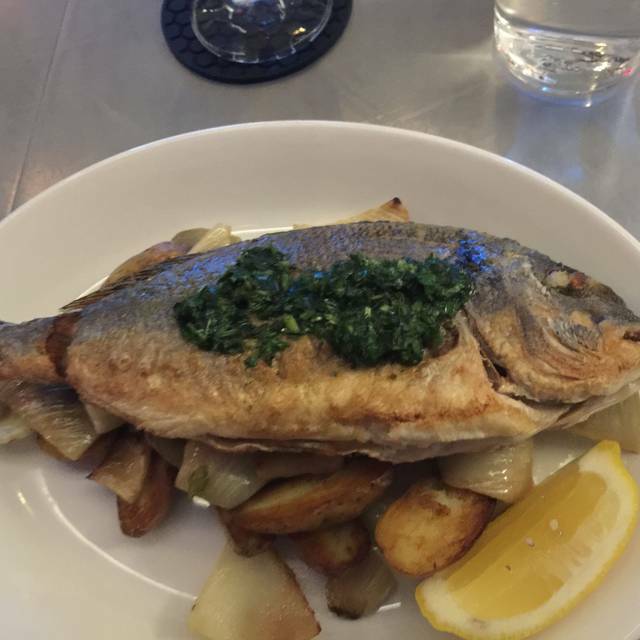 Select offers fresh, local seafood with Mediterranean influences in a cozy brownstone space. A carefully curated raw bar, creative crudo, and thoughtful fish entrees round out the menu. A seafood centric wine program feature classic pairings as well as off the beaten path selections is the center of the beverage program, alongside artisan cocktails and craft beer. 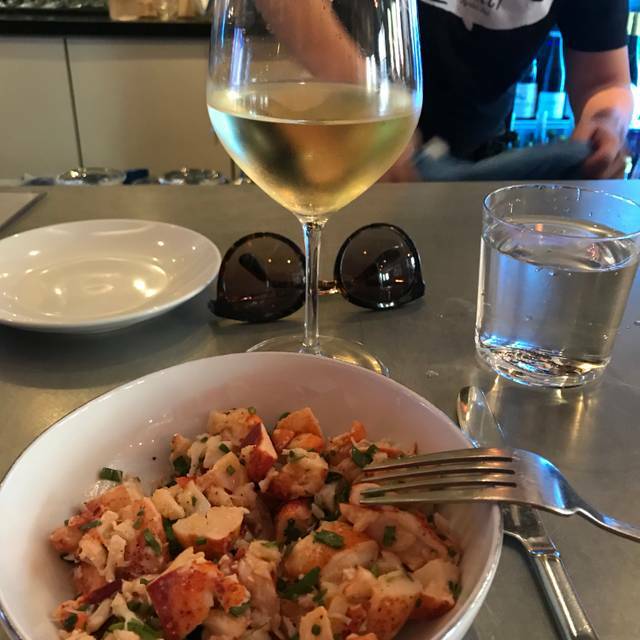 Food & Wine America's Best New Wine Bars, Boston Mag Best New Restaurant & Best Wine Program, Improper Bostonian Best Seafood. WE TYPICALLY SEAT PARTIES OF TWO & THREE AT OUR DINING COUNTER. After 15 minutes past reservation time, we may seat your table. Please call us if you are running a bit late. If you do not find the time slot you are looking for, give us a ring 857-239-8064. Visit our website for more information on our reservations. *These items are served raw. **These items are served undercooked fish, shellfish, and meat may increase your chances of foodborne illness. Best oyster bar in Boston! The food is very impressive! Lobster salad served with too many competing tastes: onions, radishes, etc. couldn't taste the lobster, though dish was huge. Oysters were portrayed as good as Wellfleets, and definitely weren't. Fish stew had fish that had been fried (for some other guest?) Didn't make sense. Tasted stale. Please note if you are a party of 2 you will be seated at the bar. If you expect a table you may encounter the rude hostess who told us it states on Open Table there is bar seating. To be fair it does show bar seating as an option - I assumed at the customer’s discretion. Not the case, if you expect a table you have to indicate in the reservation. Your bill will also include an automatic gratuity. If you can get past the rude reception on your arrival you will find the bar staff engaging and knowledgeable. The food was excellent. They do not have coffee/dessert either. I was ok with this. It’s a small restaurant and not their specialty. I’m not sure I would return, it is difficult to get past the first impression and did make the overall experience less enjoyable. Food was tasty and server was very kind. We were really surprised to find out they don’t serve desserts. They do recommend places to for you to get desserts near by. The food was delicious, and we were seated promptly. Had dinner for six on a very busy Saturday night but service was still pretty solid. We had several crudos or other raw fish preparations and then a few entrees. Everything was really well done. The only issue we had the entire evening was with the front host. She wasn't particularly welcoming or friendly when we arrived. Also, she made a point to tell us that there was a reservation 2 hours later that was going to want our table. I suppose that could have been helpful, but it was stated to us in a way where everyone felt like we were being rushed. This happened before we were seated. Though we really liked the meal, it made us question whether we'd want to return. The oysters were wonderful and the bottle of wine that the server recommended was lovely with them. It was great to be able to relax and unwind and enjoy the food, without feeling rushed. Select is the best restaurant in Boston. Food, service, and vibe...doesn’t get much better. Crowded and loud. The food was ok. Wines extremely expensive. Great food...bartender very helpful with wine selection. More expensive then I would like but bartender was great and the host was great. He knew my name when I told him I had a reservation for one. GREAT SERVICE! Neighborhood favorite with fresh seafood and vegetables and a great selection of wines and cocktails. Warm and welcoming in every season. One of the best meals in the city. Incredible quality of ingredients coupled with wonderful creativity. Oysters were ridiculously fresh. 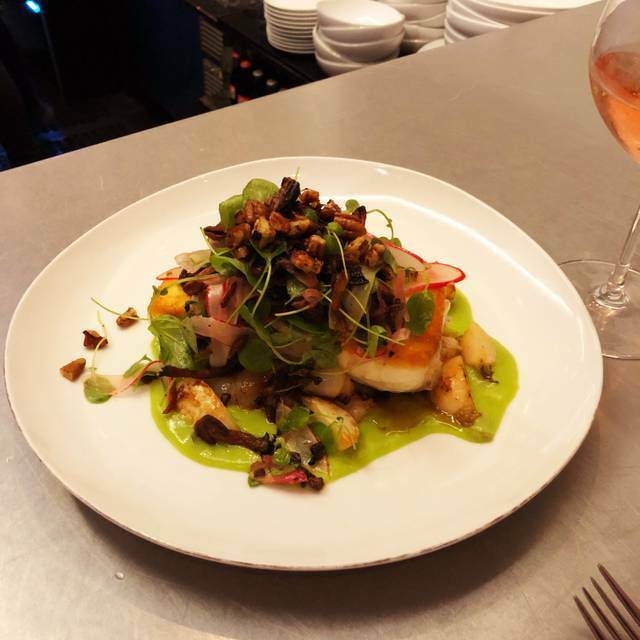 Swordfish and Halibut dishes were outstanding! Space is a little crowded. 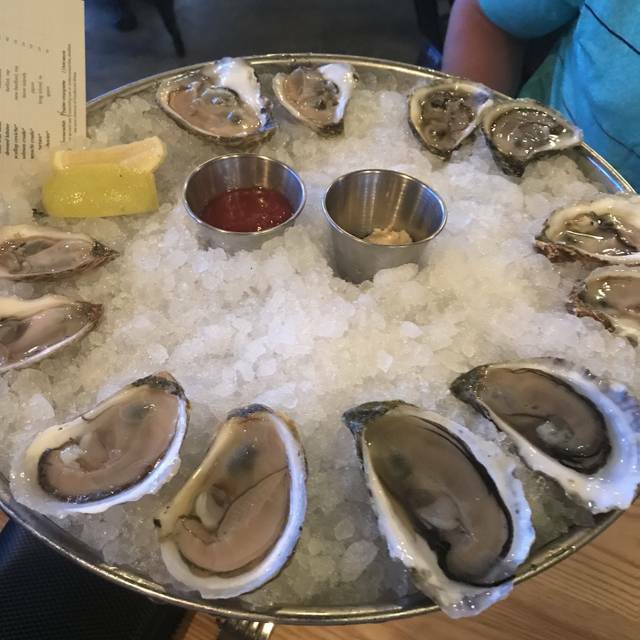 Terrific fresh raw bar. It's a small place so don't try without a reservation. And it's worth it. Great ambiance. The staff is all very friendly and knowledgeable and very willing to assist with food and wine choices. The quality of the food is exemplary and presented in a most appetizing manner. The service was fantastic from everyone in the restaurant, but the prices are way too high for what you get. The restaurant is small and they book it to capacity, including the bar. We arrived early and were planning on getting a drink at the bar, but that wasn't possible. There also isn't anywhere to wait, so we left and came back. Thankfully it wasn't too cold out. Once we were seated for our meal, our seats were at the bar, which I didn't realize when making the reservation. I was initially disappointed to be at the bar, but the bartender/waitstaff was excellent and extremely knowledgeable and the bar stools were comfortable, which partially made up for it. The wine is all kept in a bar fridge, meaning my $19 glass of Chardonnay was way too cold. I asked to try something else after the initial tasting pour, but had the same experience with the new option I selected. The food was good, but not great, but the prices are high for what it is. Highlight of the meal was the Lucky Day drink, which was delicious (although $15). Overall a fine experience, but we won't be back, and I don't recommend it. My gripe with this place is that your reservation buys you exactly 90 minutes to eat. I came with my husband and a friend, spent $500 on 2 bottles of wine, crudo, oysters and mains. And they presented us with the check at 8pm (6;30 reservation) and basically kicked us out. I hadn't finished my main. I had to leave half of it on the plate. At that price, I would like to be able to take my time and at least finish my food. Oh, and they include a 20% tip so they can throw you out without having to worry about you not tipping well. 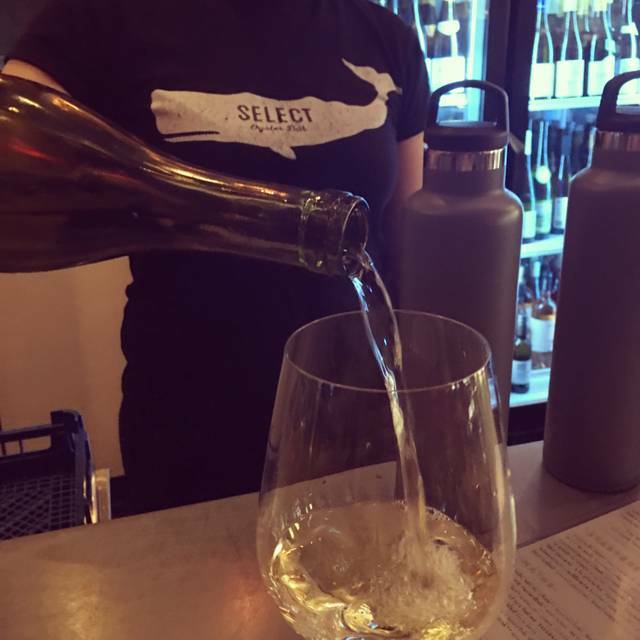 Select is our favorite place in back bay. Excellent food with a neighborhood feel. Love the team, they know us by name and make us feel welcome every-time. Tip is accounted for in your final bill, makes it easy and the team deserves every penny. Recommend for all occasions and anytime. Warm, attentive service. Food excellent--fresh ingredients, thoughtful presentation. Nice choice of wines by the glass; Negroni cocktail only fair. Altogether a very happy experiences. 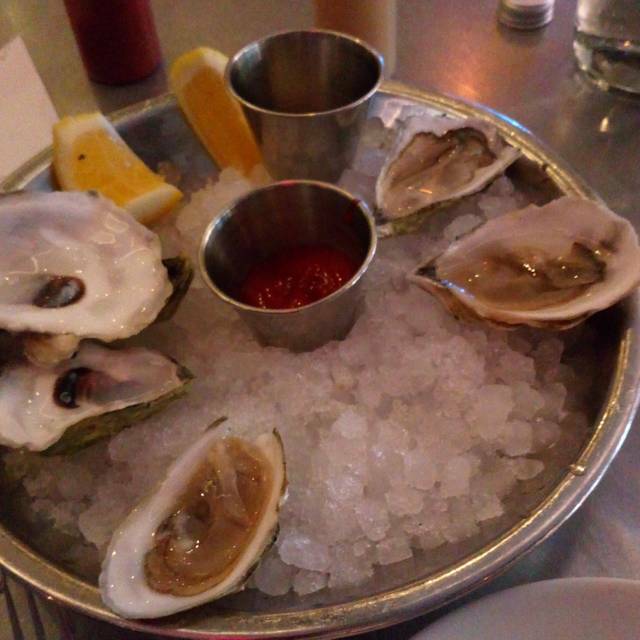 Every time we visit Boston we make a stop at Select Oyster Bar. Everything is so good. The service is impeccable. We ordered their Hemingway Platter so it takes the thought out of what to order. They start you off with the cold platters and then move you to the warm platter. Everything is a win! No desserts and coffee offered which is fine — just do a Lady M cake run. 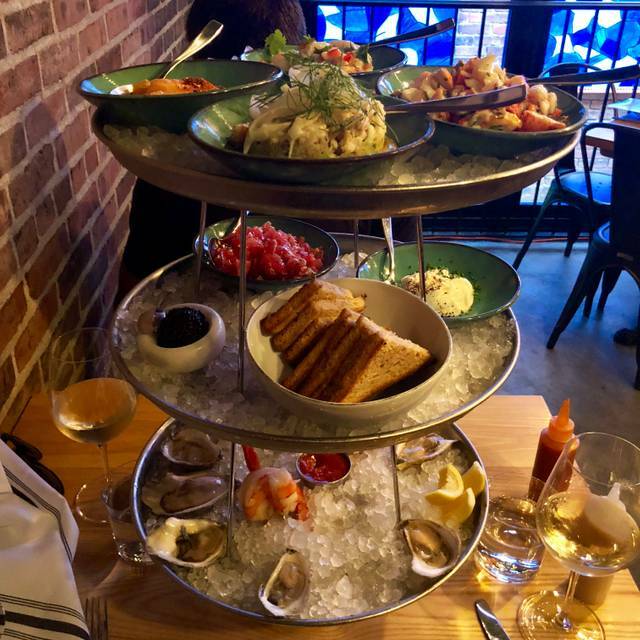 We love getting the cold seafood tower. Absolutely delicious. Always great food and service at Select. It was my firs time at this restaurant and I was quite disappointed. 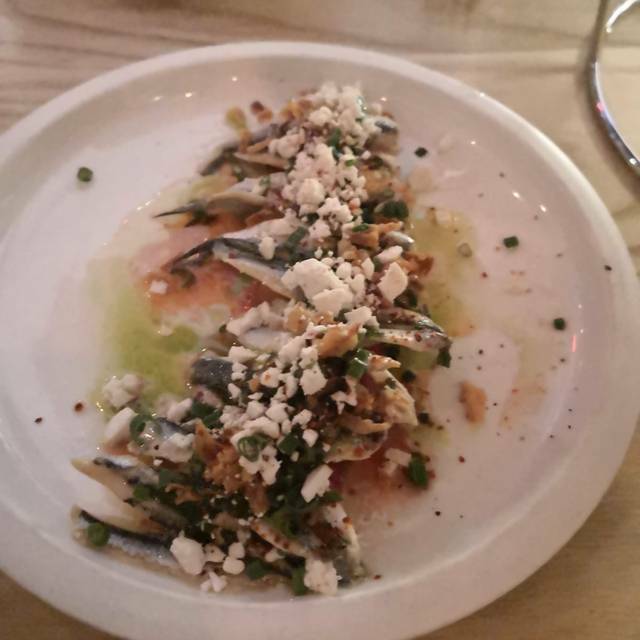 My friend and I ordered the sea bream and the arctic char, and both of those dishes were kind of bland and not particularly inventive. I was particularly dismayed at the prices, which I thought were too high for the quality of the food or the ambiance. Great food, great drinks great staff everything was great expect. Portions are generous compared To what you usually get in a sea food restaurant. On’y downside is the spacing at the bar. When sitting at the bar you are so close to the other customers that it’s inevitable to rub elbows multiple times. We had an open table reservation and were only allowed to sit at the bar. There seemed to be plenty of tables there at 6:45. Every bar tender and service person pleasant. great wines in their large selection and oysters , also a great variety[we shared 24..[3 different waters] were excellent! Will go again and hope to grab a table! As always, top-notch food and super pro but friendly service make Select our favorite spot in town.